culture / Out and About / sacramento / Words. 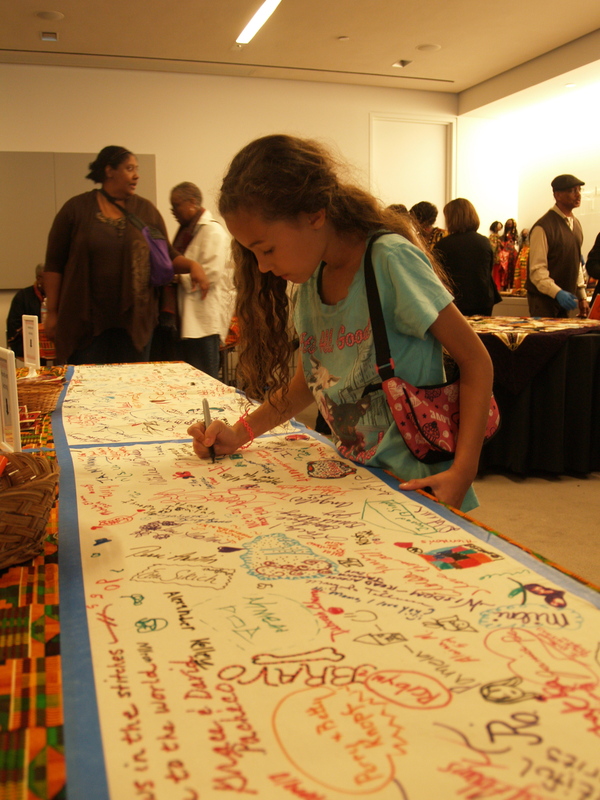 On Feb. 17, the Crocker Art Museum celebrated Black history with music, dancing, crafts and interactive activities for the whole family. Tina B and the Soul Line Dancers danced for the crowd and invited them to join in throughout the event. 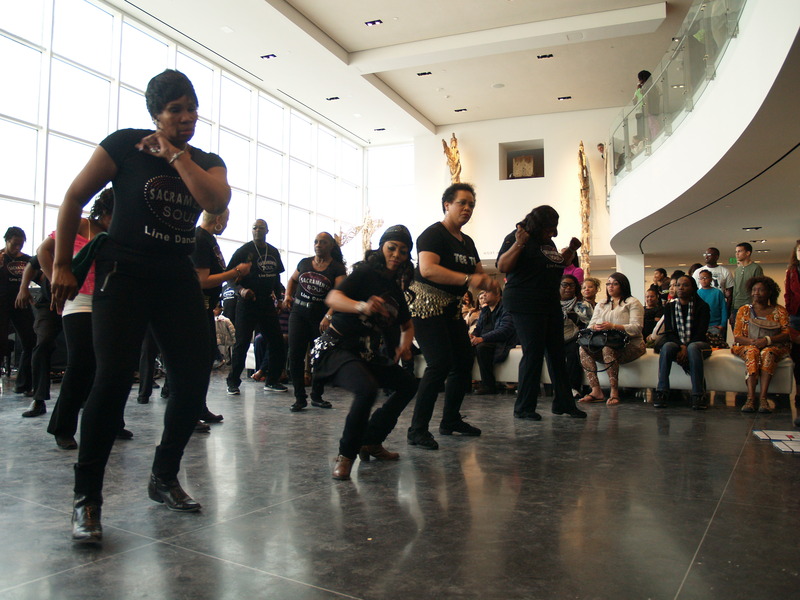 Periodic performances by Tina B and the Soul Line Dancers had children and adults shakin’ along with them. Marlena Norman, whose son and nephew, three-year-olds Johnnie and Jaden danced along with the group. She said it was her family’s second time at the annual Black History Month Celebration: A Free Family Festival, and that they’ll likely return in future years. “Because of the culture and arts and crafts, the kids can learn more about their culture,” she said. Kids were invited to sign fabric at the Sisters Quilting Collective display. A Jackson family dance tribute by Studio T Urban Dance Academy filled the Crocker’s auditorium and the Black and Beautiful Arts and Crafts Marketplace showcased Sacramento artisans. 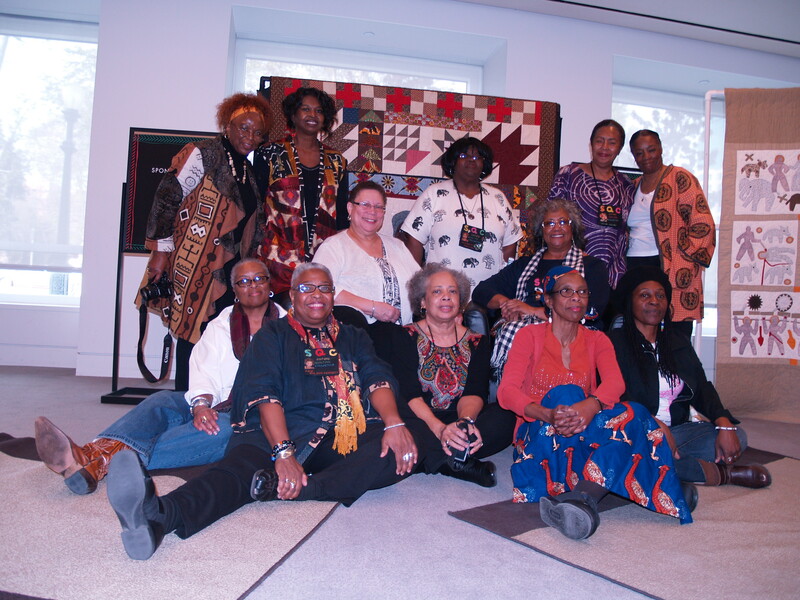 A group of women who make up the Sisters Quilting Collective shared their works and stories with guests and invited kids to sign material that would be made into a quilt.“It’s just a joy to be invited to the Crocker,” said Lillian LeBlanc, president of the collective, adding it was their first major event since starting the group about a year ago. Participating entertainers also included the Phoenix Park Kids Concert Choir, Puppets and Motion, one-man band Winko, Saint Gabriel Celeste Brass Band and more. This year’s Black History Month Celebration: A Free Family Festival was held in partnership with Sojourner Truth Multicultural Art Museum. Tags: black history, Crocker Art Museum, Sisters Quilting Collective, Studio T Urban Dance Academy. Bookmark the permalink. Previous post ← BOTH ELECTROMAGNETIC AND ENCHANTING, OLIVER NICKELL OF TREE IS HERE TO SHARE HIS LIGHT WITH YOU AND THE WORLD.